The Adventure Creators welcome groups of all sorts to the mountains and foothills of the French Pyrenees for a host of tailor made adventure and fun experiential holidays. Thanks to our comprehensive network of inspected activity and accommodation providers we can arrange all manner of sporting, cultural and educational holidays for groups of all sizes. If you’re a school looking to combine learning with active fun, a best man or maid-of-honour wanting to arrange an action-packed stag do or hen do weekend or a special interest sporting organisation looking for some off season cross-training, we can arrange a holiday in the Pyrenees for your group that will exceed your expectations. For your peace of mind, we’ve done the work to ensure that all suppliers are fully qualified and insured for groups and comply with relevant current French legislation. We also work with a range of quality accommodation providers in the area to suit all group sizes and all facility requirements. We are delighted to offer interested schools a hands on collaboration. We tailor make fun-filled summer and winter holidays that combine fun and adventure with that all important element of education. 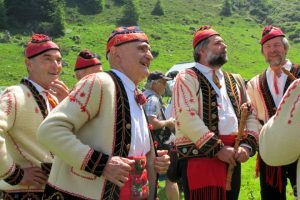 The Pyrenees is a melting pot of Spanish and French influences with strong Occitan and Catalan cultures responsible for the area’s unique flavour. This is reflected in language and dialect, song and dance, food and of course mountain way of life here. It’s a rich heritage which is sure to captivate older children. 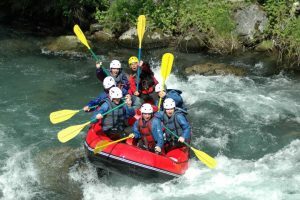 For your school trip to the Pyrenees we will arrange all manner of fun activities such as mountain hikes and high ropes adventures, rafting and rock climbing and also arrange visits to places of educational and cultural interest in the area. 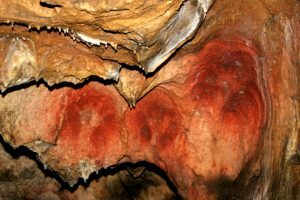 Children will learn about the wildlife of the Pyrenees, about Prehistoric man in the area, the history and developement of the various language dialects in the area, mountain culture and mountain life past and present. Our comprehensive school groups packages include transport to and from the airport and between activities and a tailor-made itinerary based on the school group’s specific requirements. We will work with you to ensure we create a package that will tick all of your boxes. A range of group accommodation is available, all personally inspected by The Adventure Creators to ensure they satisfy the exacting requirements for school groups. It’s an onerous task for a best man to come up with different, exciting ideas for a stag do. The good news is that we can take on the arrangement of a stag do adventure weekend that will exceed all of your expectations. Go river rafting, rock climbing and mountain biking or discover the high mountains on a guided mountain hike. We have a range of accommodation possibilities to suit all budgets, many within walking distance of bars, restaurants and other evening entertainment. We’re happy to take care of table reservations on your behalf. See our dedicated stag do weekend page for further information on our action-packed stag-do adventure holiday possibilities. Just like the best man, the chief bridesmaid also has a duty to organise an unforgettable hen do for the bride. No stress, we can take on all of the arrangements for your group holiday including airport transfers, transport to and from activities and the activity arrangements themselves. LGBT groups, sporting groups looking for some cross training action, whatever your group holiday requirement we have the infrastructure and contacts to create your next adventure holiday in the Pyrenees. Contact us with your proposed group size and holiday requirements and we’ll create a custom trip that takes account of all of your requirements.